Colorado State University has released their 2018 Hurricane Season forecast. Nutshell - 14 named storms, 7 hurricanes, 3 majors. A lot is going to hinge on the ENSO state. Last summer was very favorable as the atmosphere was in a cooperating La Nina state. Not sure I buy the El Nino some models were hinting at earlier this spring. What a piece of junk the newest/upgraded GFS is. Has a hurricane in the Gulf in a week. I see the physics end of things are the same ole GFS. Should have heard me laughing this morning when I spotted that. I'm on a cruise in the Gulf next week during Hurricane GFS. 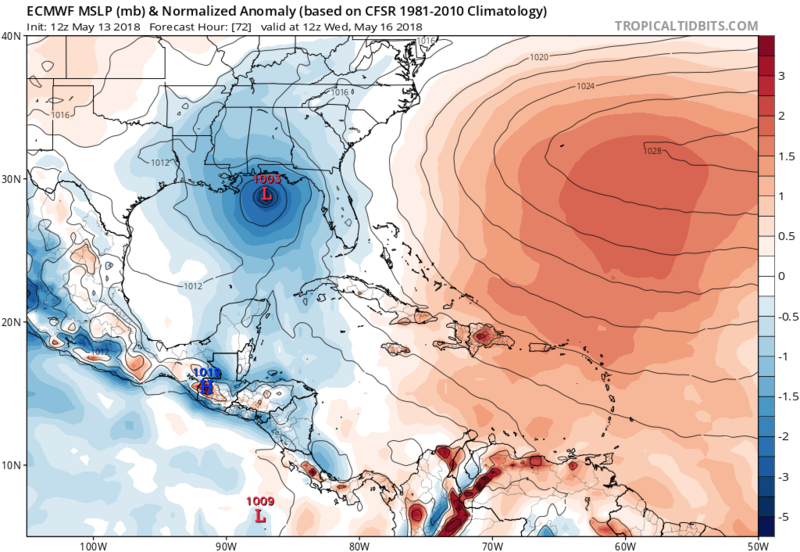 This morning's 0Z GFS still says "Hello, Alberto" at the end of the run. 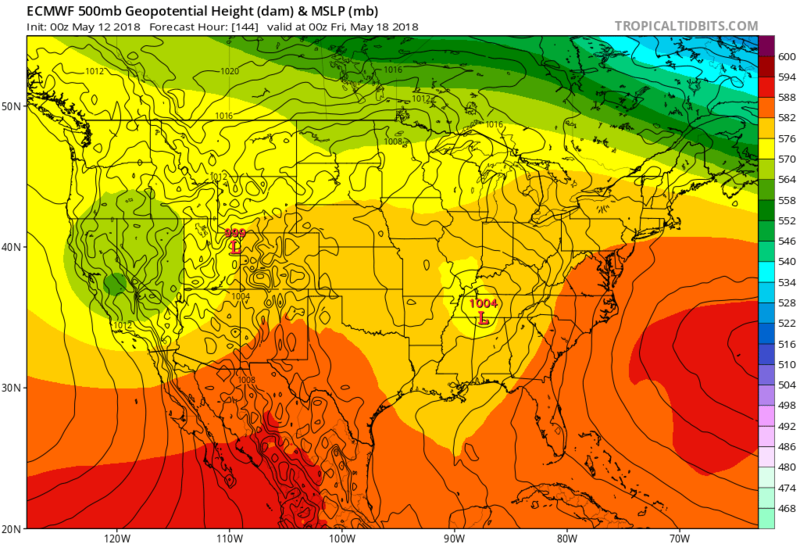 Edit: 06Z run, still there but this time brings it through the Bahamas and into SE FL. LMAO. Maybe if it keeps forecasting a hurricane at the very end of each run, by sometime in August it'll be right. GFS moved it from the Atlantic to a TD forming near the Yucatan bringing it up to the Gulf coast of Florida on Tuesday, May 22nd. I wouldn't completely rule out development with the MJO as forecasted by the GFS. It often overdevelops these monsoonal gyres, but some troughing over the Gulf in the 1-2 week period could aid in development. Don't be surprised to see a weak subtropical type system develop in conjunction with the ULL in the Gulf over the next several days. Forecasted to move North into the Southeast, so it could be quite the rain maker...which we need. As for the late in the run GFS system...it continues to fall back in time, which is a sure sign that it is likely a phantom storm. A little rain for the SE is really a good thing. Here is the latest drought monitor for Alabama showing some areas of SE Alabama moving into moderate drought conditions. Models continue to latch onto a cold core cut off transitioning to tropical before moving into the Gulf Coast. It likely won't have enough time to fully transition but some tropical rains will be moving into the Southeast. Some baroclinic enhancement will likely lead to continued strengthening as it moves inland. GFS has a hefty hurricane off the E coast at the end of the run. What on Earth is that model smoking? Yeah, it's a piece of junk. Very much an outlier as its ensemble suite doesn't match it. Monday - Much of the same. 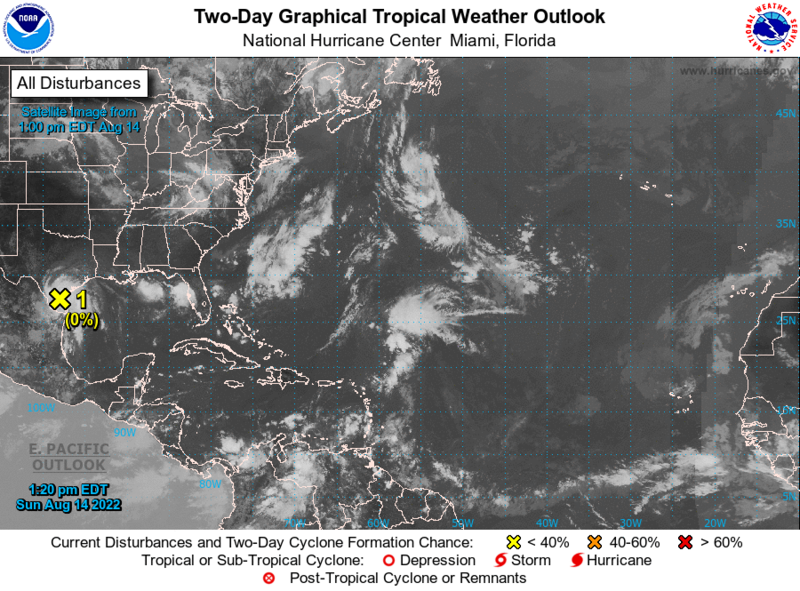 Well...maybe the GFS isn't COMPLETELY off its rocker regarding development from the Caribbean gyre. Several other globals are indicating some development down there within the 7 day range (Euro is day 9/10). Otherwise, a big slug of moisture is moving into the Southeast the next several days. Looks like this system will leave a weakness which should permit higher daily rain chances than we've been seeing. Some indications of lower than normal pressures in the NW Caribbean and Gulf of Mexico come the first week of June. 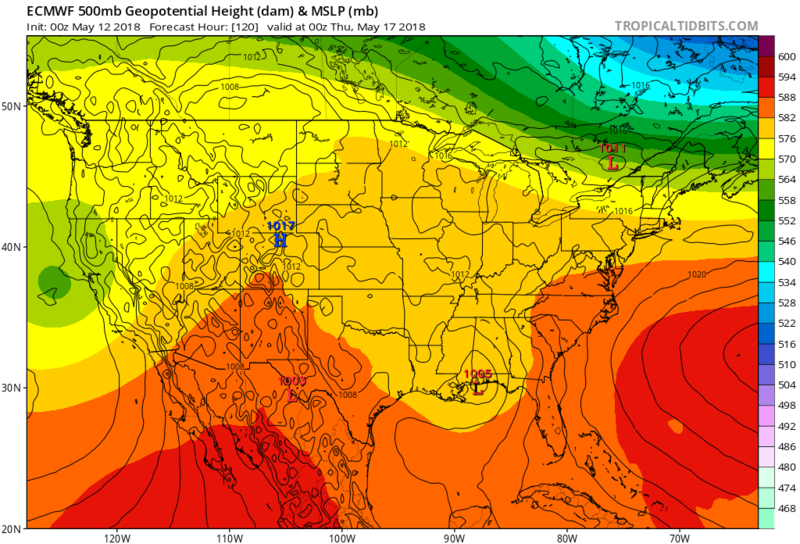 GFS still sticking to its guns on a tropical system Memorial Day Weekend. Track basically keeps fluctuating between Alabama and the Carolinas. Well I'll be in the Gulf of Mexico to let you know how that formation is going. Hope it all is just a GFS'cane and it fades away quickly in the next few runs.